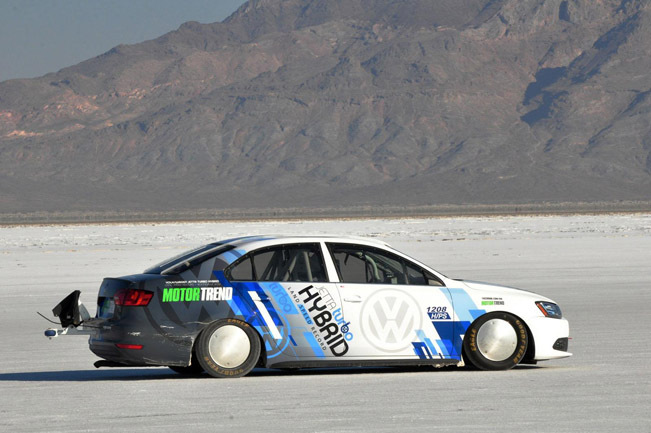 After becoming the world's fastest hybrid at Bonneville in August, the Volkswagen Jetta Hybrid LSR returned to the Salt Flats on October 5th to break the Southern California Timing Association's (SCTA) H/PS land speed record. 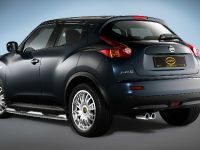 The class is for production cars with engines of less than 1.5 liters that use forced induction. Motor Trend Associate Road Test Editor Carlos Lago averaged 186.313 mph over two runs during the SCTA's World Finals event, eclipsing the previous record by 18.8 mph. In the course of making his second run, Lago averaged 187.147 mph for the last mile, beating the magical 300 km/h mark. This is also the fastest run recorded by a hybrid, beating the185.394 mph set by the same car back in August. 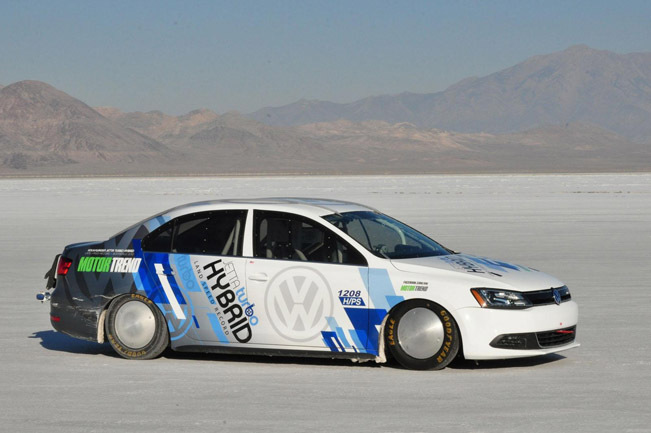 "We're very proud that the Jetta Hybrid has not only posted the fastest speed for a hybrid at Bonneville, but that it has gone out and broken an SCTA land speed record as well," said Jonathan Browning, CEO and President, Volkswagen Group of America. 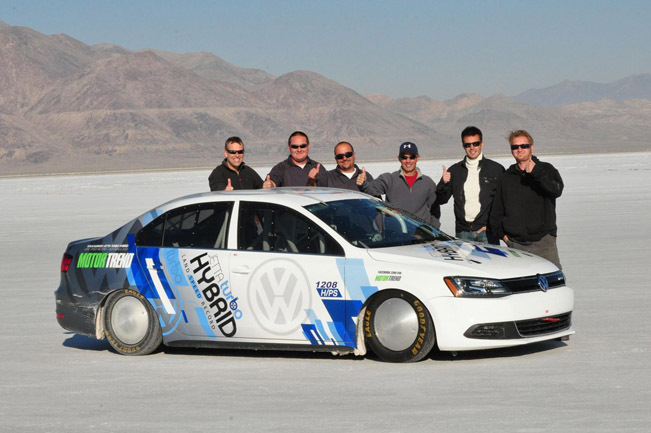 "Achieving this record at Bonneville shows that the all-new 2013 Jetta Hybrid is a distinctly different offering in the compact hybrid class, offering excellent fuel economy while retaining the fun-to-drive nature expected from a Volkswagen." 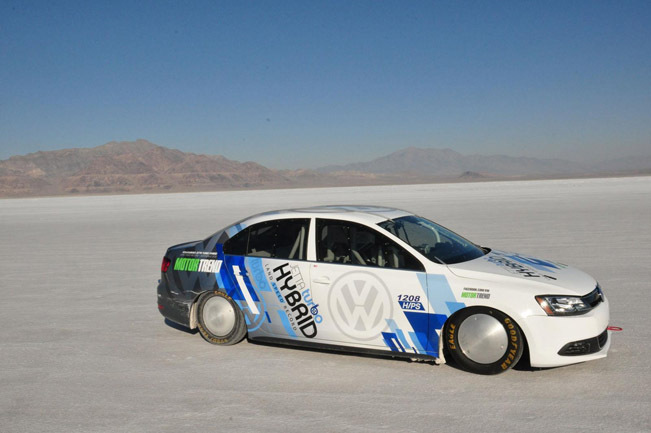 Lago drove a Jetta Hybrid specially modified to run in the SCTA's H/PS class. 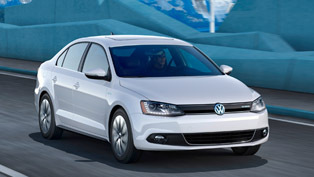 The all-new 2013 Jetta Hybrid marries a 1.4-liter turbocharged, direct-injection four-cylinder TSI® gasoline engine with a seven-speed DSG® dual-clutch automatic transmission and an electric motor. 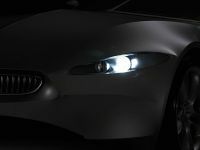 The combined output of the engine and electric motor is 170 horsepower, along with 184 pound-feet of torque. 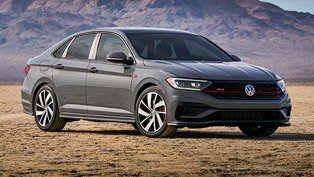 Because the Jetta Hybrid runs in a production-car class, modifications are strictly controlled by the SCTA. 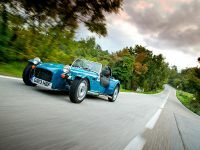 The suspension was lowered, special Salt Flat wheels and tires fitted, and the interior was stripped and outfitted with full safety equipment, such as a rollcage, racing seat and harness, and a full fire suppression system. 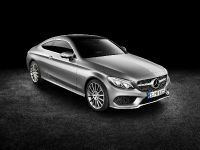 The powertrain is the area with the most freedom under the rules and was modified by Volkswagen R&D in Wolfsburg, Germany, in order to make the kind of horsepower needed to run at such high speeds at Bonneville-in this case, somewhere around 300 hp. 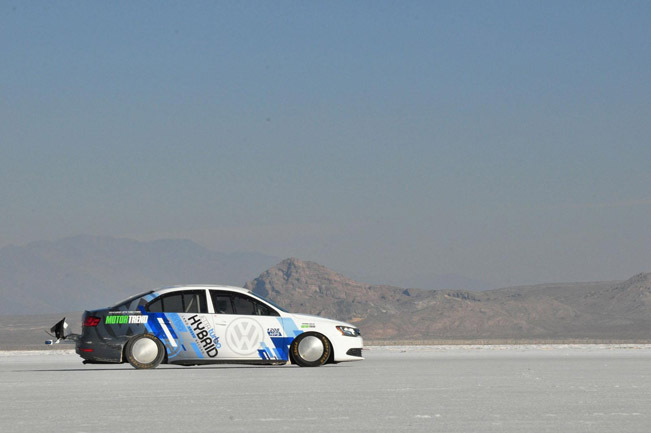 Project integration and other modifications to enable the car to run safely on the salt were handled by A-Salt Racing and Advanced Product Engineering, based in Camarillo, California. 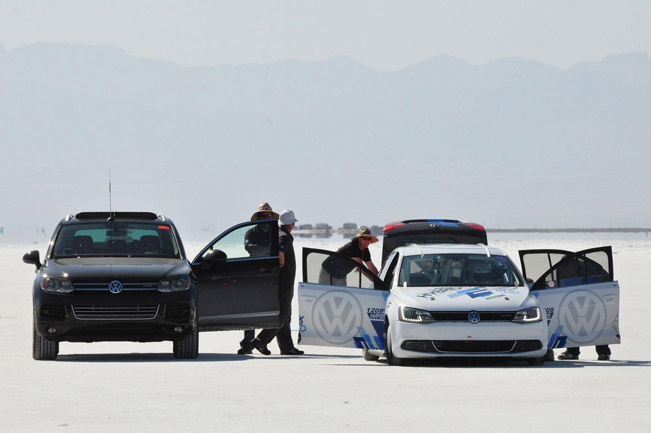 The implementation and final calibration of the drivetrain in the car was supported by the engineers from the Volkswagen Test Center California in Oxnard, CA. 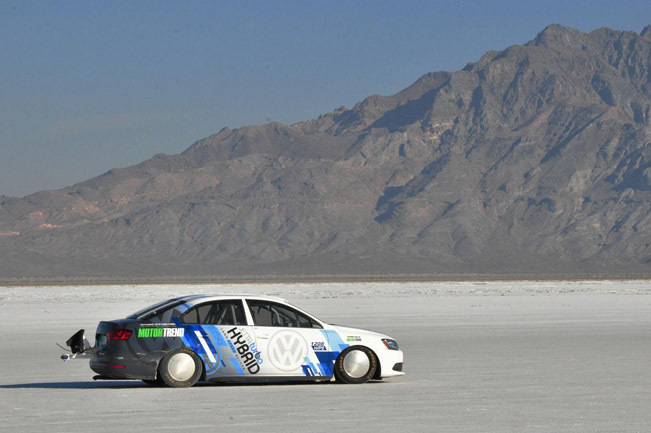 "We are really proud that our new Jetta Hybrid has taken the land speed record for its class," said Marc Trahan, Executive Vice President, Group Quality. 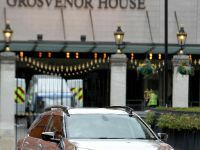 "This was a fascinating project for our engineering team in Wolfsburg, who had to integrate the complex hybrid elements and generate a lot of additional power in a very short period of time in order to take the record. 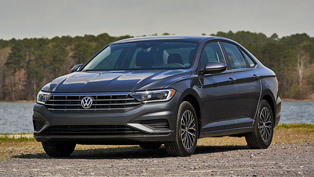 The Jetta Hybrid LSR project shows both the sporty nature of our hybrid offering and the technical excellence of our engineers in Wolfsburg and the Test Center California." 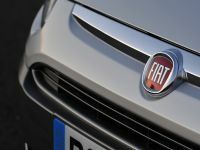 Volkswagen chose to partner with Motor Trend because it is one of the premier automotive enthusiast outlets in the world, with 1.1 million subscribers to the magazine, 5.5 million unique visitors to motortrend.com per month, and an increasingly popular YouTube channel that has 405,000 subscribers. 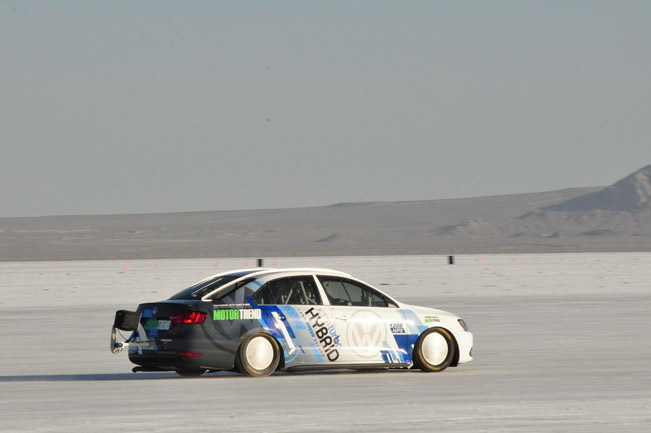 Carlos Lago, who drove the Jetta, said: "It was an honor to drive the car on the Salt-and also pretty exciting. Driving in a straight line may look easy, but it's a real art to get the power down on the salt and you had better be paying attention to crosswinds, as they can really blow the car off course. Now I have the bug, I really want to become a member of the exclusive 200-mph club at Bonneville. Maybe next year?"